Feel guilty about drinking a beer or two? Don’t feel guilty. Contrary to what you might expect, moderate beer consumption is actually good for you. Science has shown that beer can bring many surprising health benefits even though it’s usually perceived as unhealthy. Here are some remarkable and surprising beer benefits that might change your perception of the drink. One eye-opening study involving 200,000 subjects conducted at Italy’s Fondazion di Ricerca e Cura found that people who drank a pint of beer daily had a 31% reduced chance of heart disease. This heart-protecting power of beer stems largely from beer’s natural antioxidants called phenols. However, the study also showed risk of heart disease increased in people who consumed higher amounts of beer. Perhaps one of the most remarkable health benefits of beer is its ability to protect against Alzheimer’s. Researchers at Loyola University Chicago Stritch School of Medicine analyzed several studies and came to the conclusion that moderate beer drinkers were 23% less likely to develop different forms of dementia and cognitive impairment, including Alzheimer’s. The silicon content in beer is thought to protect the brain from the harmful effects of high amounts of aluminum in the body, which are one of the possible causes of Alzheimer’s. This is another remarkable benefit of moderate beer consumption. According to a 2011 Harvard study of about 38,000 middle-aged men, those who drank one to two beers daily had a 25% reduction in the risk of developing type 2 diabetes. The alcohol content in beer increases insulin sensitivity, which helps prevent diabetes. Moreover, beer is a good source of soluble fiber that plays an important role in the healthy diet of people suffering from diabetes. A study conducted in Finland established that moderate daily consumption of beer can reduce the risk of developing kidney stones by 40%. This health benefit is attributed to beer’s high water content (about 93%) that helps flush harmful toxins out of the body and keep the kidneys working properly. Also, compounds in hops used in brewing help slow the release of calcium from bones, which in turn prevents build up of lost calcium in the kidney in the form of stones. Beer contains an important antioxidant known as xanthohumol. Xanthohumol is known to have powerful anti-cancer properties that help fend off cancer-causing enzymes in the body. Specifically, moderate beer consumption helps prevent a certain chemical reaction that can lead to prostate cancer in men. Beer has also been shown to reduce the chances of getting breast cancer in women. If you’d like an unorthodox method for cutting your cholesterol levels, indulging in moderate beer consumption may be the way to go. The barley used in brewing of beer contains a type of soluble fiber known as beta-glucans that has been shown to help in lowering cholesterol levels. You may also be interested to know that beer can help manage blood pressure. That’s according to a Harvard study that found that women aged 25 to 40 who drank beer moderately were significantly less likely to develop high blood pressure compared to women who drank wine or other alcoholic beverages. Beer contains decent levels of silicon, an element that is linked with bone health. One study conducted at Tufts in 2009 established that older individuals who drank one or two glasses of beer daily had higher bone density, and thus were less prone to fractures than those who did not enjoy a glass of beer or wine. However, the study also found that consuming more than two drinks increased risk of bone fractures. Another interesting fact about beer is that it is considered one of the best natural treatments for dandruff. This particular health benefit of beer is attributed to its high yeast and vitamin B content levels. Just rinse your hair with a bottle of beer two to three times a week to get rid of dandruff and make your hair extra soft and shiny. Studies by the American Stroke Association have shown that people who drink moderate amounts of beer can cut their risk of strokes by – get this – a whopping 50% compared to non-drinkers. Researchers at Harvard School of Public Health explain that moderate amounts of beer daily helps prevent blood clots that block blood flow to the heart, neck and brain, which is a leading cause of ischemic stroke. However, when you drink beer moderately, your arteries become flexible and blood flow improves significantly. 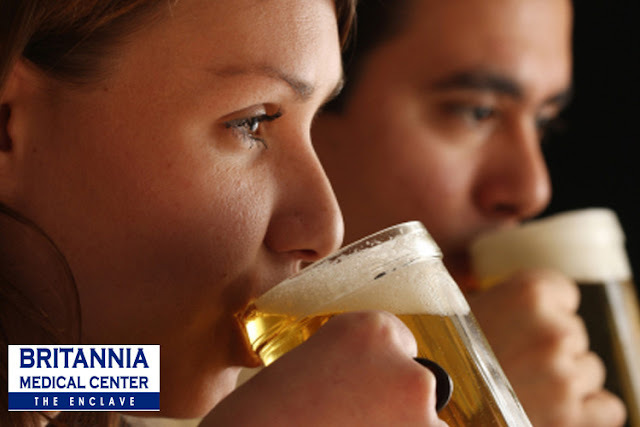 Remember the key to reaping these amazing health benefits of beer is moderate consumption. Overindulgence in beer and other alcoholic drinks can be disastrous to your health. If there are questions and concerns call us at 0925-567-5329 • 0908-865-5662 • 0917-566-1932 • 458-0717 and schedule a consultation today. Everybody experiences pain at one time or another. Whether the pain is caused by a new injury or a nagging old one, the bottom line is we want to feel better and to get out of pain as quickly as possible. Thermal modalities (such as ice & heat) are time-tested solutions to getting rid of pain. But how do you know if you should be using ice or heat? I routinely get asked about which one is better to use – and when. Unfortunately, many people inadvertently create more problems for themselves by using the wrong thermal modality at the wrong time. The key to correctly choosing ice or heat depends on the situation. What do you do about these problems? How do you correctly select the right thermal modality (ice vs. heat)? Which one do you select, and how frequently do you apply the therapy? The first thing you need to consider is how long ago the injury occurred. Recent injuries are ones which occurred within the past twenty-four to thirty-six hours. For recent (or acute) injuries, you want to use ice. The reason for this is because after a traumatic event, the body goes through a healing process involving a number of sequential phases. These are: (1) the inflammatory phase, (2) the proliferative phase and (3) the remodeling phase. During the inflammatory phase, the capillary beds open up to allow more blood flow to the injured region. This is often accompanied by redness (rubor), an increase in temperature (calor), pain (dolor) and swelling (tumor). These events are important, not only to protect the injured area, but also to ensure proper healing takes place. However, while the inflammatory process is important, it is possible (and desirable) to accelerate the healing process without jeopardizing anything by altering the blood flow to the injury site. We have the ability to modulate this process by way of the careful application of ice. Ice is a natural anti-inflammatory. It reduces pain & swelling and without any adverse effects to the liver or kidneys (as what you may get by taking drugs). Ice works by closing capillary blood flow, reducing swelling and edema and numbing the affected region. I use ice for fifteen minutes followed by a one hour interval before re-applying the ice again. Why take it off for an hour? You must allow the tissues to sufficiently warm up before using ice again so you don’t get a frost bite or freezer burn (resulting in damage to the skin & connective tissue). Once the inflammatory phase has completed, the body transitions to the proliferative phase. This is when the body starts to try to patch the injured area by laying down connective tissue and scar tissue. At this point, we want to encourage this process as much as possible by opening blood flow to the affected region. Heat facilitates the capillary bed perfusion. Heat also soothes and relaxes muscles, allows for fuller pain-free range of motion and additionally, it feels great. Heat is also appropriate for use during the remodeling phase (the final phase of tissue repair). For older (chronic) problems, you will generally want to use heat as the preferred thermal modality. My rule of thumb when using heat is to apply it for approximately 15-20 minutes per session. Another thing you can try for older chronic problems is to use ice-heat contrast. What is involved with contrast therapy is to use heat early on in the day (or before exercise). You would then use ice at the conclusion of exercise (or at the end of the day). Think about what you’ve always heard about exercise. You warm up before and cool down after. Using heat and ice facilitates this and gives you a more profound effect. Chiropractors, physical therapists and athletic trainers all use ice & heat to help their patients feel better, move better and heal faster. Using these modalities correctly will allow you to get out of pain and get back to doing your activities of daily living. The number one concern posed by many patients is the lack of time to dedicate to daily exercise. Finding health benefits from exercise does not require long, drawn out sessions in a fitness center. View your day in terms of activity and determine ways to simply use your regular daily tasks to increase exercise/activity level. The important thing to remember is that any activity is better than no activity. Significant health benefits can be obtained with just a few minutes of light exercise performed daily. Many lifestyles do not lend much time to perform a regimented, high-intensity exercise program. Instead, utilize periods of your day where you may be idle to quickly perform simple activities to help increase your fitness level. For example, if you find yourself sitting and watching TV in the evenings, use commercials as the perfect opportunity for exercise. Begin by simply performing repeated sit to stands simulating a squat, marching in place, jumping jacks, push-ups, crunches, stair climbing or just walking around your home as a means for increasing your activity level. Performing these tasks for the duration of the commercial can provide enough intensity to increase heart rate and respiration and activate many muscle groups throughout your body. Light resistance training can also be performed easily at home even if you do not own weight training equipment. Resistance bands do not require storage space and will provide enough resistance to increase strength/endurance and improve muscular efficiency. Household objects, such as soup cans, can also substitute for hand weights. Resistance training can be performed for both the upper and lower extremities. Include shoulder raises/presses, bicep curls, and tricep kickbacks. Strengthening of the legs can be achieved through squatting, step-ups, and leg/calf raises. These exercises can be performed quickly, easily and without the need for expensive or bulky equipment. Try to incorporate more walking during your day. Take short breaks from sitting tasks to walk around your home or office. You can also park farther from your destinations so that you can be more active to and from your car. Choose to walk/cycle instead of driving to nearby destinations or simply take a walk around the block. Despite limited extra time during the day to perform regimented exercise; many opportunities are available to begin living healthier lives. 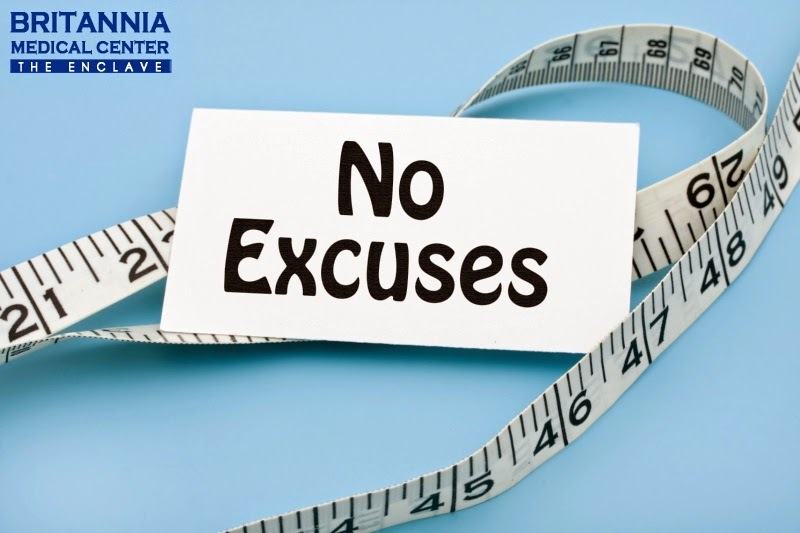 Don’t let time be an obstacle in the way of your health. MAKE the time and let the results speak for themselves. Get Educated and Get Involved!